Swingtrader combines an advanced chart trend analysis, chart patterns recognition, and technical indicators tool into a powerful stock market timing system. Our system will help you to find good trades, develop discipline, and avoid the traps of emotional trading. By using technical analysis you will step away from the crowd of amateurs and become a successful trader. Stock Signals application runs a complex technical trading strategy to generate daily “Buy” and “Sell” signals of varying degrees for all US stocks, options and ETFs. Our stock signals can be used for day traders and swing traders. We have a unique approach and feature-rich set of supporting tools. This uniqueness and richness can make it difficult for new subscribers to get the most out of our site. Please take the time to read this document to understand our approach and then read the additional documents we provide on our site. At the heart of our services are our stocks to watch today! This stocks meeting certain chart pattern criteria. These stocks are candidates for either a long or a short., in which case they may be suitable for taking a long position in, or break down, in which case they could be shorted. send an email alert and push notifications service on PC and Smartphone. The trading model that runs behind this application is based on technical analyses. 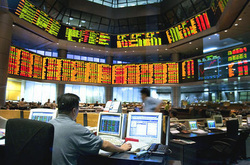 ​Swingtrader online is here to provide you with innovative online trading tools to multiply your returns every day. Swingtrader valuable suggestions assist in earning more from your investments. By giving timely suggestions which are backed up by expert market experience Swingtrader becomes an indispensable tool on your road to successful trading. Swingtrader scientific model is a combination of fundamentals, momentum and mean reversion. The returns are beyond belief and also outperformed the S&P 500 by more than 50%. 100% Intelligence Stock Picking Service! Discover how countless members worldwide are trading stocks like the biggest of banks and hedge funds using the secrets of artificial intelligence. Join instantly, right now! A real home business. Finally a real way to work from home. If you're looking for a real home business, you have actually found it. With SwingStocktraders, you just listen to the email alerts and do exactly what it says, (buy advice, stop-loss and target) every day.The email alert tells you exactly what to do and when to do it. You receive the stock pick - email alerts directly in your mailbox! How much is the subscription rate ? Membership is only $16.95 a month! Go to members and register. Join Us! Only $16.95 a month! Swingtrader (Web) is an integration of various trading free services (Plans) keeping wealth maximization as a prime objective. The 24 hour access and storage of Archives help you to easily track and understand the various picks recommended by the Swingtrader. Swingtrader on your browser retains all the archives from day one which is a differentiator from the market. Register and try Swingtrader to have a hands-on experience in trading. Whether you’re new to the market, or you’ve been around the block a time or two, the Swingtrader brings picks you can trust, with buy advice, stop-loss and target. b. to add it to our list of 'Buy / Sell signal. c. to add to Option tips. d. We send a push notification on PC and mobile phone. Every week " Weekly charts"
Blog with " Break-outs to watch"
What dude Ive tracked your trade ideas for july and you have been doing very well indeed. only 2 stopped out. the rest up big. thanks! I have your subscription and your calls are really good (hit ratio is over 70 percent). I am new to swing/technical trading and wanna learn the same. if you can help me with the best way to use your calls during highly volatile periods and improving my understanding of technical trading, would be really great. Thank you.Thank you for the great picks. I keep telling my wife that it's too good to believe and that it just can't last... In fact, Again I say thank you, thank you. This is the best service I've ever used. It suits my personality and my investing strategies, that being I have never invested before and needed someone to hold my hand. Your picks does exactly that, it holds both of my hands and I can't ask for anything more. Thank you for your help. I have been researching for 6 months many,many stock system sites from very expensive to cheap and yours blew me away.You found a niche and filled it perfectly.You have a great site and a lot of bang for the bucks we pay. I have been using your stock-picks for the last six weeks, and have made money in every single trade. The picks are precise, timely and accurate. Keep up the great work. I'm extremely happy with the service. Believe me, I've tried many other services over the years. In my opinion no others come close. STEADY, CONSISTENT PROFIT, WHAT A CONCEPT!!! I have been trading stocks for about 6 years and been a member of a number of recommendation and advisory services. Never have I been so impressed with the picks, profits and service as I have been since getting Picks form you! You have a customer for life and I sincerely thank you for providing such a valuable product. This is my first month with your Stock-picks, all I can say is your the BEST, please don't let this get to you however lol. I am truly enjoying your picks! I look forward to our future! 16 winning trades in a row!!! Your software and the picks it produces are beyond great. Customer for life. I love your program and will continue with it as long as it is available. I am making money and as I build up my account I will be making larger trades and benefiting even more from your service. Thats my story and I am sticking to it. Thank you so much for all your help. I make +8.5% with this trade. Very nice profit in 1 day. I have been a member for three months and I have on more than 80% of purchases profit and for only $ 16.95 per month. I think it will quickly become expensive! Is suitable for intraday trading and swing trade. The explanation on the site is good enough to be able to trade with the tips. I'm happy with stock swing traders!